On Sunday August 26th Margriet will present a half-day workshop for the Ann Bignold sampler. A photo of the original sampler is below. 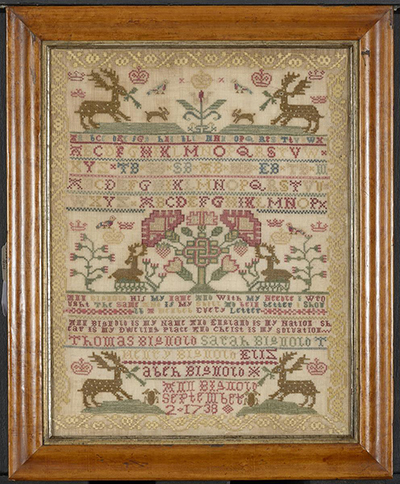 Hailing from the British Isles, Ann Bignold created her delightful sampler in 1738. 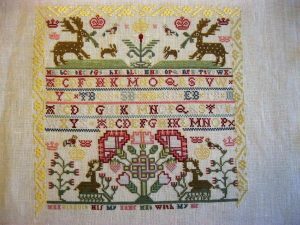 Stitched with shades of red and green silk, Ann’s sampler includes reindeer and several motifs, including crowns, birds and flowering vines. Stitches include cross, cross over one and satin. 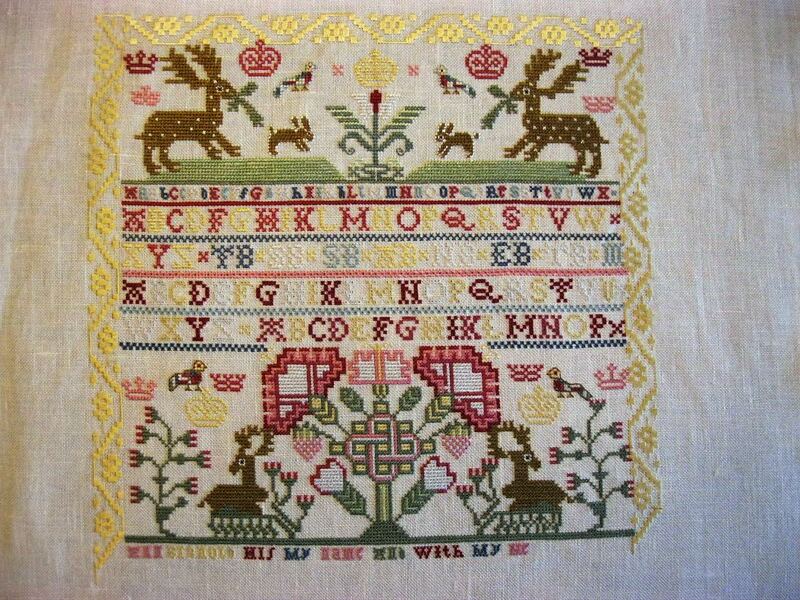 Stitched on 40 ct. linen with AVAS silk the sampler measures 9 1/2″ x 12″. To register for this class, checks covering the initial cost of $91 must be sent to Susan Balsai by the June Meeting—June 10, 2018. The final cost will include the teaching fee which will be determined by the number attending. The remainder of the cost is due on the first day of the class and will be calculated based on the number attending but will not exceed the cost of the kits. Checks will be refunded if the class is canceled. A photo of the reproduction (in progress) is below.